Law for Life has produced a short report assessing the legal information and training resources available for tenants in the private rented sector. Our second free e-learning course aims to help users avoid being unnecessarily sanctioned and to help work out what to do if it does happen. We are delighted to announce the publication of a free, new training resource focusing on the development of legal capability. Our Chief Executive Lisa Wintersteiger is pleased to be providing advice and support to a research team at the University of Leicester that is seeking to find out more about children’s understanding of law in their everyday lives. In November Dr Catrina Denvir from the UCL Faculty of Law, launched our series of informal networking events with a presentation on her recent PhD research ‘Caught in the web- how young people resolve civil justice problems’. 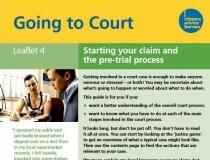 The report ‘Meeting the information needs of litigants in person’, commissioned by the Civil Justice Council from Law for Life’s Advicenow team has now been published. 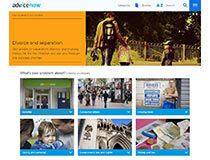 Advicenow is an independent website run by Law for Life. 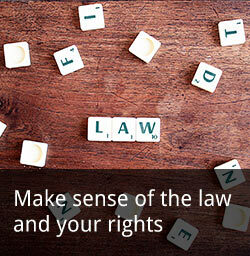 It provides accurate, up-to-date information on rights and the law. In partnership with innovative East London charity, Community Links, Law for Life has designed a “highly effective” Public Legal Education programme, and trained 22 local volunteers as Community Advice Champions to provide early intervention help. Phil Evans, cartoonist, died in March aged 68. He was best known for his political cartoons of the 70’s but was also cartoonist for our Advicenow website. The Low Commission report was published in January 2014. The Attorney General’s domestic pro bono coordinating committee has today published the report of its public legal education (PLE) working group. The Advicenow website and its staff have joined Law for Life. The trustees of the Advice Services Alliance and Law for Life reached agreement to transfer the project in June. Law for Life trustee, Amanda Finlay reflects the approach taken by health professions to promoting good health and asks whether a similar strategic approach should be applied to legal services. In court you’re on unfamiliar territory, it’s stressful, and you need clear guidance on procedures and clear instructions on how to fill in court forms. Surely you can expect clear and helpful guidance on how to proceed? An influential paper by the Early Action Task Force about how to develop a community ‘ready for everything’. Their recommendations favouring early intervention and enabling services resonate with the role of public education and the creation of legally capable citizens. Professor Kim Economides, Director of the Legal Issues Centre, University of Otago, New Zealand. He came to New Zealand three years ago to head a new research centre dedicated to making the legal system more accessible. Myths and misconceptions about the law abound. People believe they have rights they don’t, but are unaware of the rights and obligations they actually have. The best advice is not to believe everything the man in the pub tells you: go and look it up. A major report by the Civil Justice Council (CJC) recommends making the justice system fairer and simpler for people going to court without a lawyer. It is a wholly unoriginal thought, but I have for a long time believed that a contented society is more likely to be one in which there is a high level of awareness about law, and the rights and responsibilities that underpin the law. Over the past two years Consumer Focus Scotland has made significant steps in developing our understanding of public legal education. This seminar provided an opportunity for delegates from different sectors to contribute to the debate on building consumers’ legal capability. The final report of the Scottish Civil Justice Advisory Group was published by Consumer Focus Scotland on 18th January 2011. This carefully thought out report, ‘Ensuring effective access to appropriate and affordable dispute resolution’ makes some radical recommendations to improve civil justice in Scotland. I have always loved languages and writing. I studied English literature before going into law. I practiced in a large law firm and later on my own. Then I went back to school to study journalism, and worked as a freelance journalist and translator. In 2009, I joined Éducaloi, a PLE organization in Montreal, Canada, where I create plain language legal information resources for the public. BPP law students received an award from the Attorney General, Dominic Grieve QC MP for their Streetlaw Homeless Programme wining the Best Contribution by a team of student award in the LawWorks & Attorney General Student Awards 2011. A new All Party Parliamentary Group for Financial education for young people was set up on 31st January. More than 120 MPs from all parties have joined together to call for the introduction of compulsory financial education in UK schools to ensure young people understand money, consuming and debt. Tony Thorpe is a freelance writer and consultant for the Citizenship Foundation and has written many of their most popular publications including ‘Understanding Citizenship’, Young Citizen’s Passport’ and ‘Your Rights and Responsibilities’. The Law Society of Scotland published their manifesto in January 2011 ahead of the May 2011 elections. The manifesto represents a focused statement of what the Society sees as some of the key priorities for the next Scottish parliament.